When I was in 1st grade living in Prescott, Arizona, I read 100 books during a single school year. Somewhere in the depths of my mom’s photo bins, there’s an old photo of little Lisa, me, wearing a bookworm costume and holding a certificate. Well, it’s been a long, long while since I can say I’ve read a hundred books in a year. Life gets busy, there’s a myriad of distractions and my stack of books-to-read gets higher and higher. 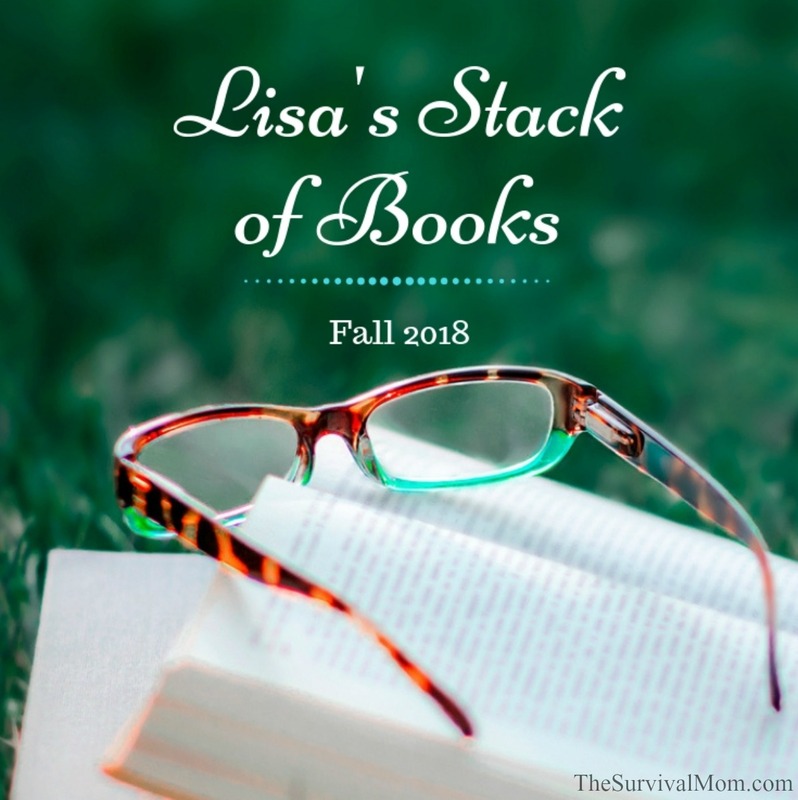 There are so many excellent books in that stack, though, that I wanted to share the titles with you and my brief reviews and comments. 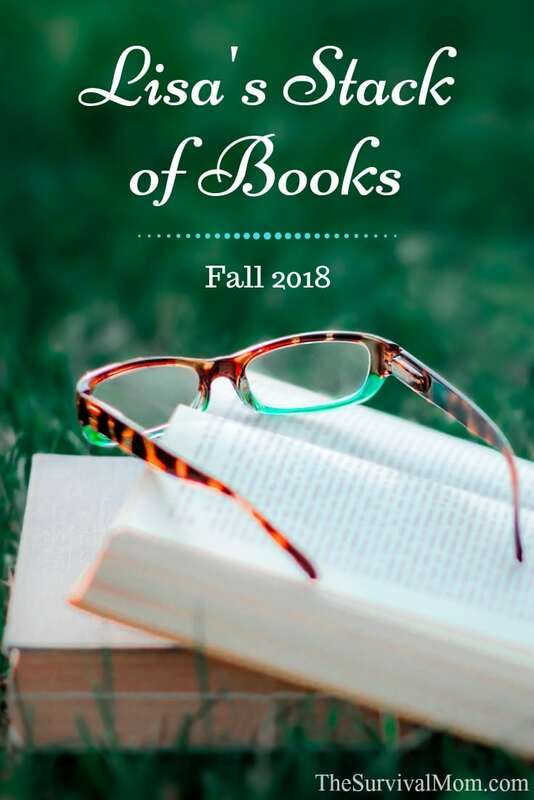 Now that the kids are back in school and maybe life has become a little less hectic for you, hopefully, some of these will soon land in your own stack of books-to-read! 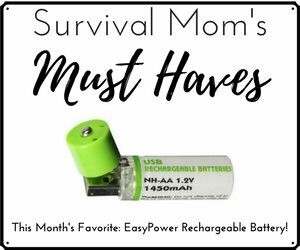 Not all are survival/prepper related. I actually do read “just for fun” sometimes, and I hope you do, too! Here they are, in no particular order at all. Well, the answer to that question goes back to my days in high school and college when I was an avid student of history and political science. I’ve always loved keeping an eye on current events and over the years was intrigued by our years of war in Afghanistan. It was a Sean Parnell Tweet that alerted me to this book. I downloaded my copy on Kindle and began reading. 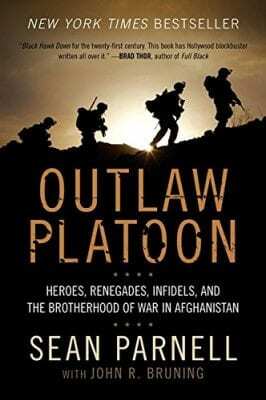 I enjoyed the close-up, intimate look at Parnell’s platoon, the stark comparison between American and Afghan customs and politics, and the fast-moving narrative. If there’s one thing I can count on from The Canning Diva, it’s dependable information in an attractive package. I’ve known Diane for several years and her passion for preserving fresh, delicious foods is contagious. I only can food on occasion, but this book has inspired me to try new recipes in my pressure canner, which has been collecting dust for far too long. I follow Diane’s Facebook page and her blog in order to stay up to date with her recipes and advice. She’s always friendly and approachable, and that’s the tone of this book. Pressure canning is intimidating to many people but it’s the easiest way to safely preserve delicious meats and meals. 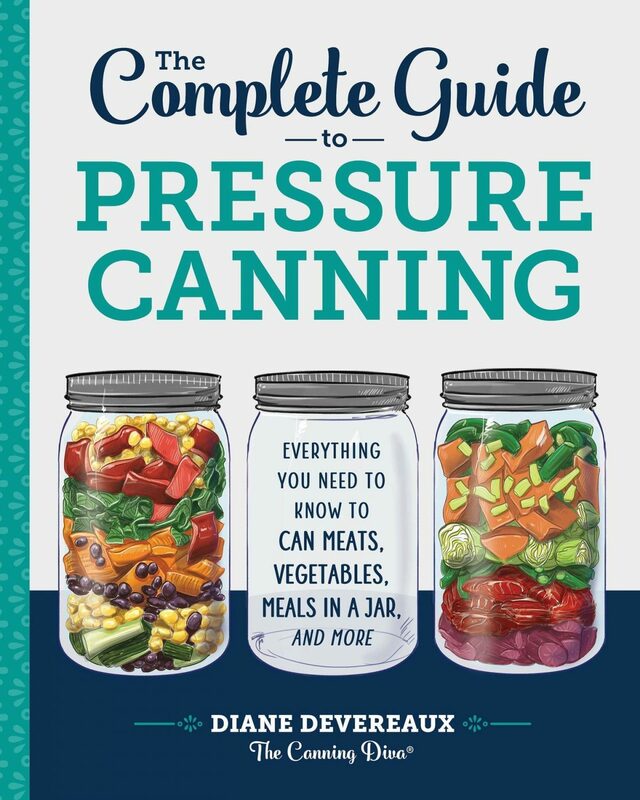 Diane has included dozens of recipes, illustrations, and charts to make sure your pressure canning experience is successful. The layout of the book is sophisticated, clean, and a pleasure to browse through. 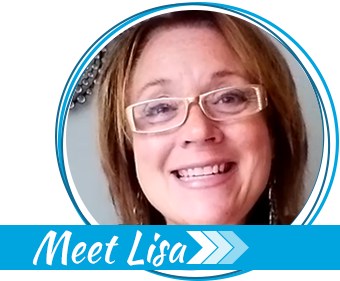 Get to know Diane and enjoy her creative recipes. I thoroughly enjoyed this book about a quirky family surviving an economic collapse in style. 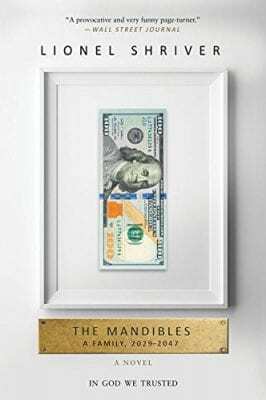 Set in the future, this book focuses on the day-to-day trials and tribulations of the Mandibles, a family whose grandfather established a millionaire’s bank account but his descendants now collect greywater to re-use again and again and race to the market to spend their hard-earned money before it’s devalued, again. Along with the entertaining story, you’ll get a few lectures on economics as taught by the libertarian-leaning author. You also get a realistic glimpse of a future in which the U.S. President has become an authoritarian, confiscating gold and establishing currency controls. I recommend this book as a fun read with sobering undertones. Howard Godfrey was the founder of my partner blog, Preparedness Advice, and a prolific writer. Howard has spent the better part of his life learning, practicing, and teaching preparedness, and there are very few people who know more than he does. This manual is an all-purpose prepping guidebook. Howard has covered most every base with practical advice that is easy to read and implement. The book is well-organized and he names the brands he recommends in order to help narrow down your purchases. Howard has never been one to emphasize expensive preps that are out of the reach of most people. Instead, in this book, he shares inexpensive DIY prepping projects and how to become very well prepared on a budget. 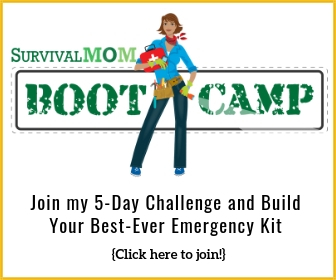 If there is a product or a piece of common prepper advice he disagrees with, he lets you know! Empty Mansions by Bill Dedman and Paul Clark Newell, Jr.
Wheeee! 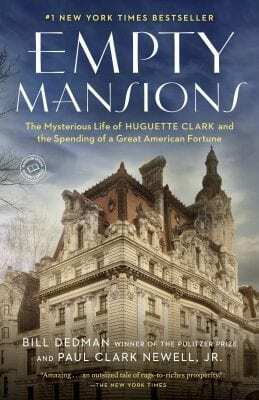 Let’s swing to the farthest end of the pendulum from prepping and read about a super-reclusive billionaire heiress, Huguette Clark. I read about Huguette in the news when she passed away in 2011. She hadn’t been seen in public in many decades, and I was fascinated by her crazy, prolific spending as well as the backstory of all that wealth. This book traces the history of Huguette’s father who led a colorful life, to say the least, describes his ascent in the world of mining, railroads, industry, and farming. As flamboyant as he was, Huguette was quite the opposite, and when her mother passed away in 1963, Huguette became a recluse, only occasionally speaking on the phone and having very few visitors. She didn’t seem to be unhappy, though, just content in her own little world. This book presents both a fascinating chapter in history and a peek into a life that was unique in its wealth and personality. I think you’ll really enjoy this one. She was in the news as an intrepid little stray mutt who ran alongside marathon runner, Dion Leonard, on a race across the Gobi Desert. The little dog accompanied Dion for so many miles, that when the 150-mile race was finished, Gobi had found her forever home in the heart of Dion. You know I’m an animal lover — we’re on Foster Dog #5 now — so I loved the story of this little dog’s spirit, courage, and his big heart. Just before Gobi was to fly to her new home in Scotland with Dion, she went missing in a city of 3 million people! 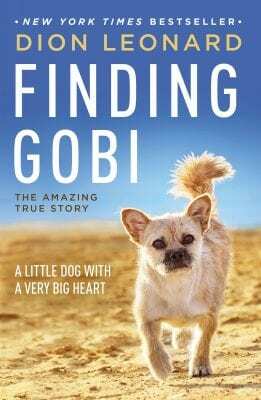 You’ll have to read the rest of the story yourself, but be warned — you’ll want to find your own Gobi and add another dog to the family! There’s a young reader’s version of this book, for kids ages 7 or 8 and up, but I think kids who enjoy reading will be able to handle the reading level of the adult version. Ahhhh…now back to prepping, and this time it’s prepper fiction, which I know many of you love. This book features as its main character a woman, Julie Atwood. 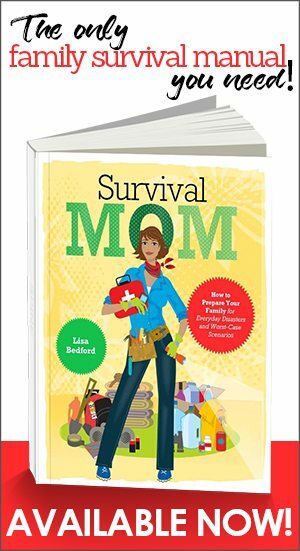 In that respect, it’s already in the small percentage of prepper novels that center around a female and her unique qualities and problem-solving strategies. 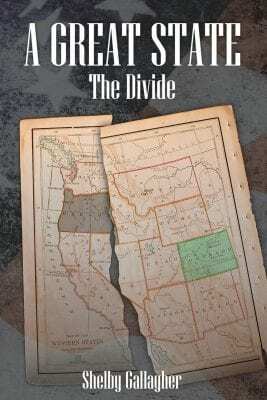 Julie is a witness to the collapse of the United States and a growing civil war. Her state of Oregon has become too violent for her and her young son, and she’s determined to leave the state and join her family in Colorado. An interesting point made by Julie when talking with non-preppers is that natural disasters are the only disaster that is socially acceptable to discuss. Economic collapse? EMP attack? A pandemic? Non-preppers run screaming from those, but if you talk about preparing for an earthquake or hurricane, everybody jumps on board. Be aware that this book is very much from a politically conservative viewpoint and based on a few Amazon reviews, that could either be irritating, gratifying or something in between. 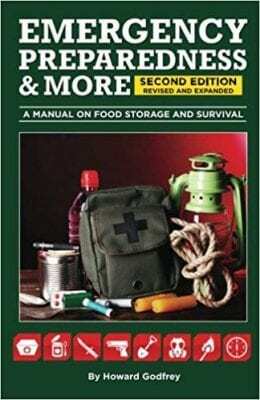 Nevertheless, a prepper book from a woman’s point of view is worth reading. Well, from the title of this book, you know you’ll be reading about a topic that isn’t socially acceptable! I guess that’s part of the fun, isn’t it? This book was enjoyable, fast-moving, and contained some unique prepping tips I hadn’t thought of. It centers around a young college woman whose father has equipped her with everything necessary to reach a safe survival compound in the case of a worst case scenario. 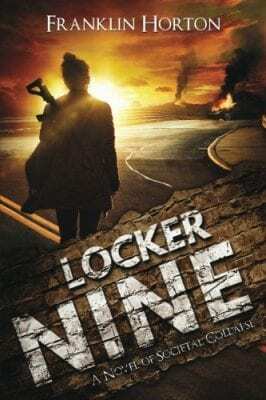 Those preps are contained in a storage locker, Locker Nine. Remember the quote I mentioned in this article, “Movement is life”? That’s what saves Grace’s life. 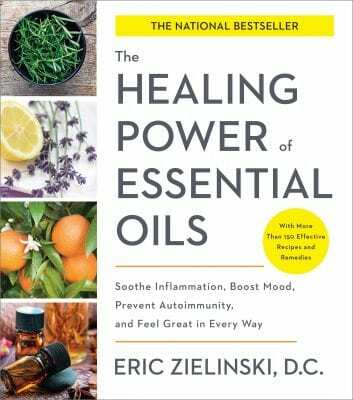 The Healing Power of Essential Oils by Eric Zielinski, D.C. This is the best book I’ve ever read on the subject of essential oils. The author goes into detail about why essential oils are effective and the specifics for using some of the most helpful oils. I made a batch of his wife’s “Mama Z’s Healing Skin Serum”, and my daughter used his “Citrus Lover’s Anxiety Inhaler” just before she went in to take her ACT test earlier this year! Her score was high enough to earn a full-ride scholarship, so hey! Maybe it will work for your kid! Zielinski includes numerous recipes for everything from a sitz bath to lip balm and even essential oils for athletes and nursing moms. This book gets 5 stars from me for it’s easy-to-read and understand content and it’s attractive clean layout. If you’re a fan of essential oils, this book is a must-have for newbie and experienced oilers alike.